Fresh Recipes for Super Salads! Who says that salads have to be boring? These healthy and vibrant salad recipes show just how versatile and exciting salads can be! Put down that bottle of dressing! This classic salad recipe from BonAppetit.com includes a homemade dressing made with raw eggs (for richness) and briny anchovies (for umami flavour). 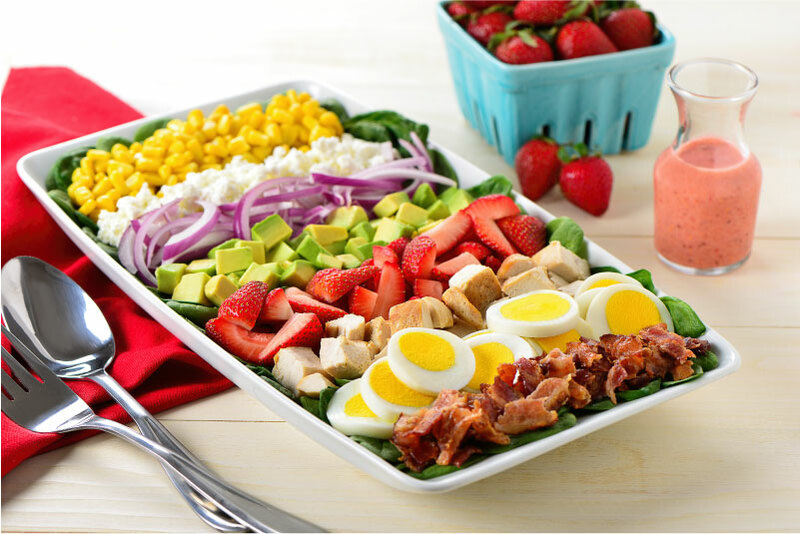 The main ingredients of the usual Cobb Salad, roasted chicken and hard boiled eggs are joined by a colourful ensemble of fruits and veggies in this pretty platter. 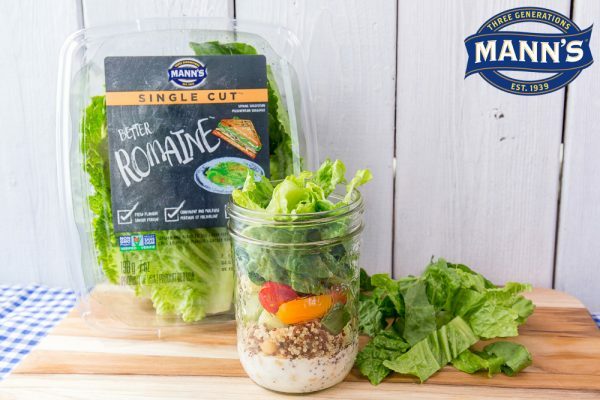 Meal prep your lunch for a few days by making these Mason Jar Salads; You can customize them as you like and fill them with lots of veggies! Dandelion greens are ALL the rage! While many of us still hate them in our lawns, they are readily available in grocery stores. Pair this bitter green with fresh bright flavours and you’ll become a fan too. 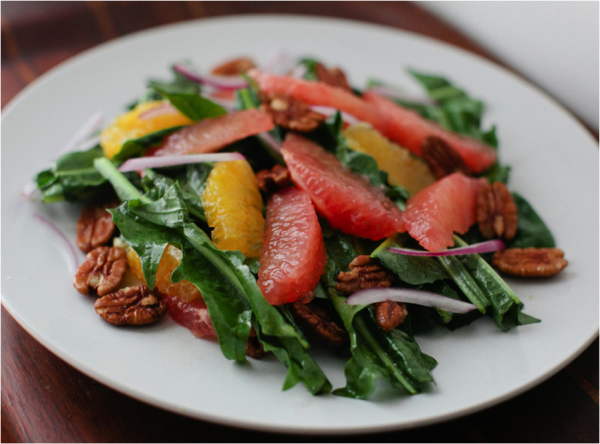 This Dandelion Green and Citrus Salad from Brian Samuels on AthoughtforFood will certainly make you reconsider what you think you know about dandelions. 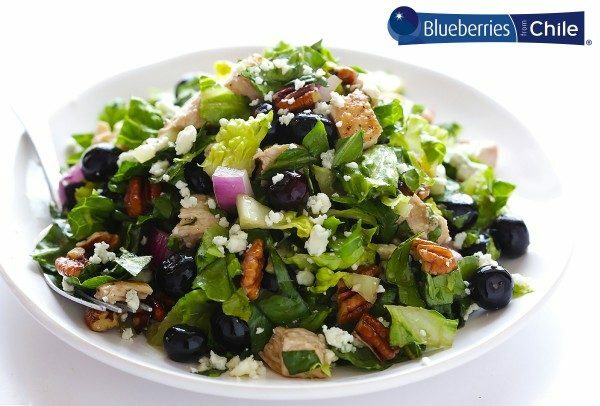 Spruce up your salad with this easy and protein-filled Blueberry Chicken Chopped Salad. Dijon vinaigrette adds brightness to the salad, blueberries add a pop of flavour and juiciness. Romaine lettuce is actually FULL of nutrients, so eat up and feel good about your lunch! 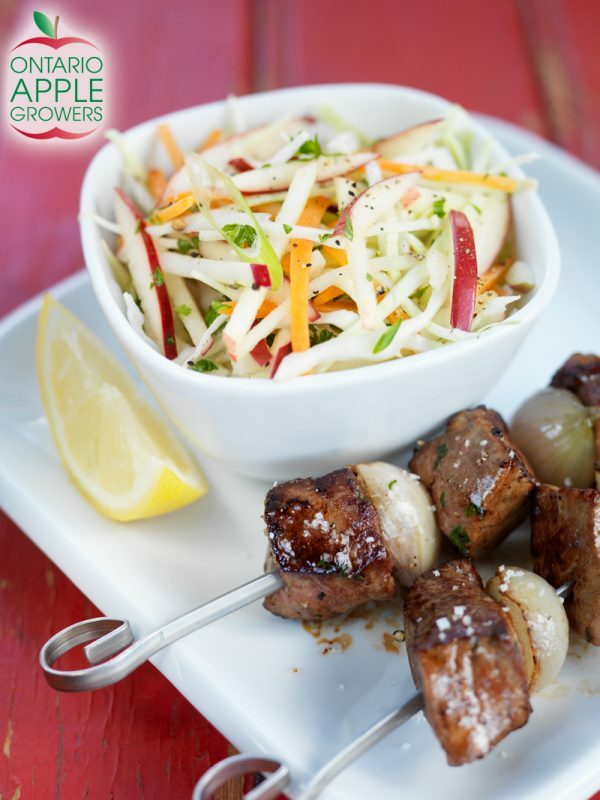 This is grilled salad from Ricardo Cuisine is perfect for a summer barbeque! 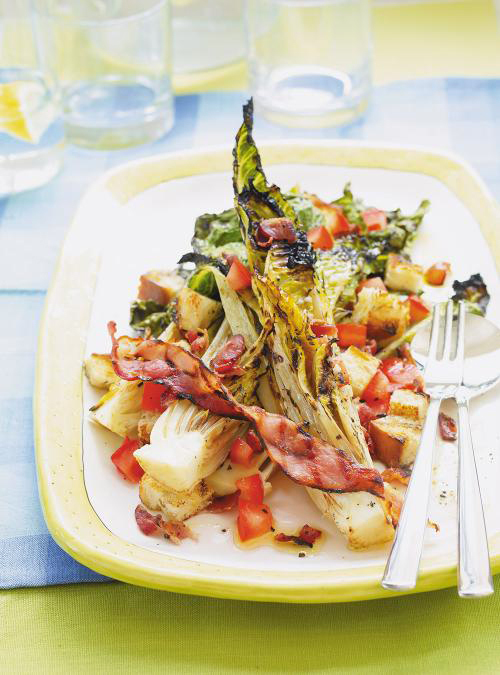 Sturdy romaine lettuce is grilled before being tossed with crispy bacon, juicy tomatoes and crunchy croutons! 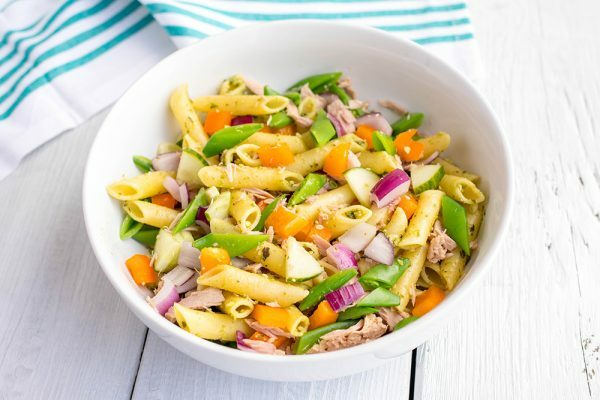 Pasta Salad is a great, make-ahead packed lunch that you can prepare in bulk at the beginning of the week. 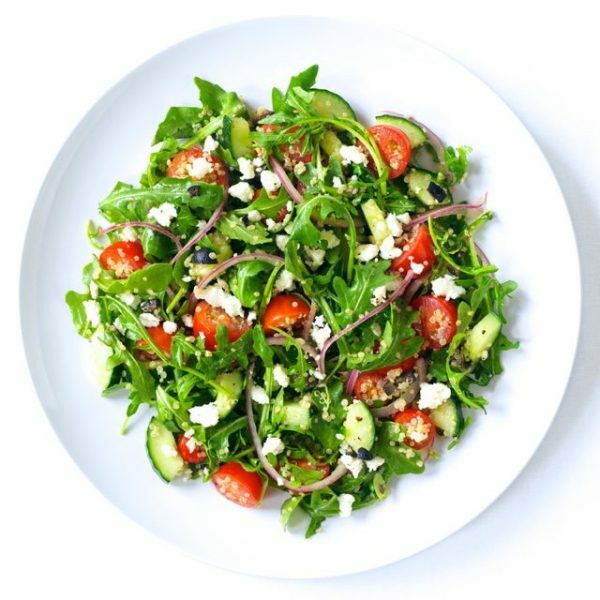 This Arugula Greek Salad with Quinoa is a new take on a traditional Greek salad. It makes for a great lunch or a light dinner and pairs perfectly with souvlaki or grilled fish. The sweet and crunchy nature of this salad makes it a crowd-pleaser that’s great warm or at room temperature. It’s perfect for satiating the craving for veggies and healthy meals during the cooler months. Serve this warm Brussels Sprout Salad at your next Sunday supper and gather your family for a nutritious and healthy dinner. 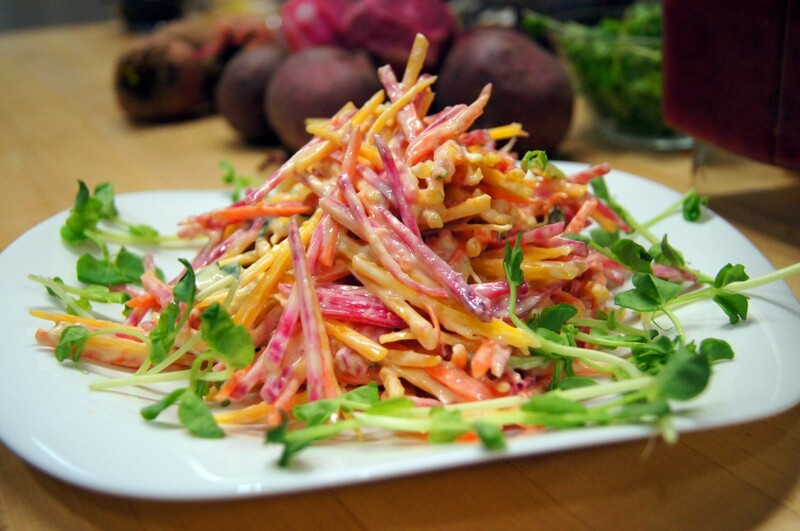 This slaw is the perfect colourful and healthy accompaniment to classic kid favourites like grilled cheese, mac and cheese, or other meals that could use a little extra fruit and veg. This Crunchy Apple Slaw will be a hit with the kids – it’s the perfect way to sneak fruit and veggies into lunch time. 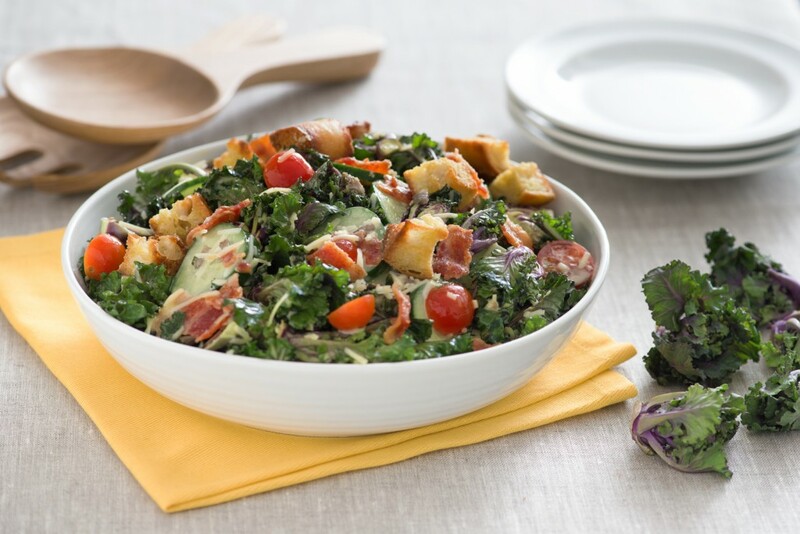 This Kale and Brussels Sprout Salad is very popular right now, and it’s easy to see why! 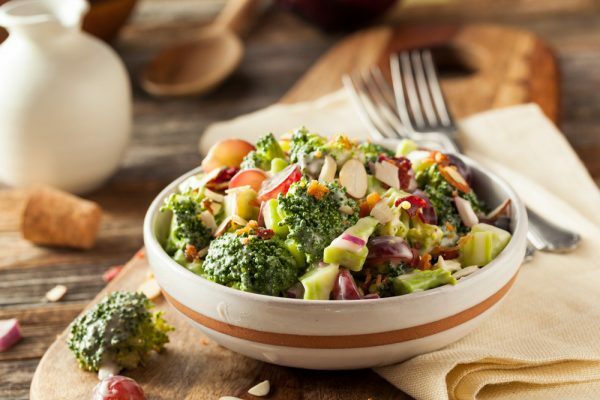 With finely chopped Brussels sprouts, hearty kale, tangy cranberries and crunchy almonds, this salad is the perfect blend of contrasting flavours and textures! 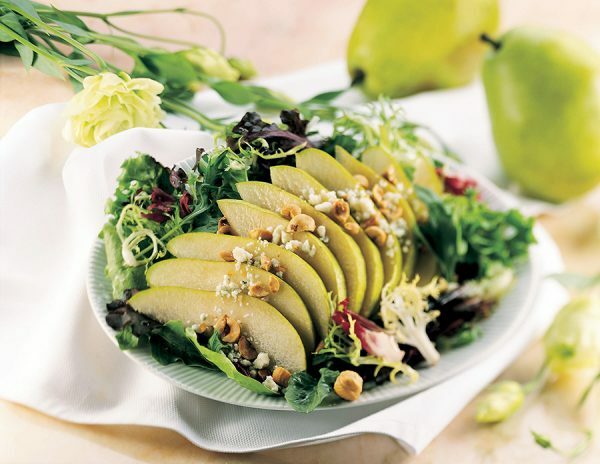 Elevate your basic spring mix salad with this Pear Salad Recipe from Produce Made Simple contributor USAPears.com. With sweet pears, crunchy toasted hazelnuts and pungent blue cheese, this elegant salad is sure to impress your dinner guests! 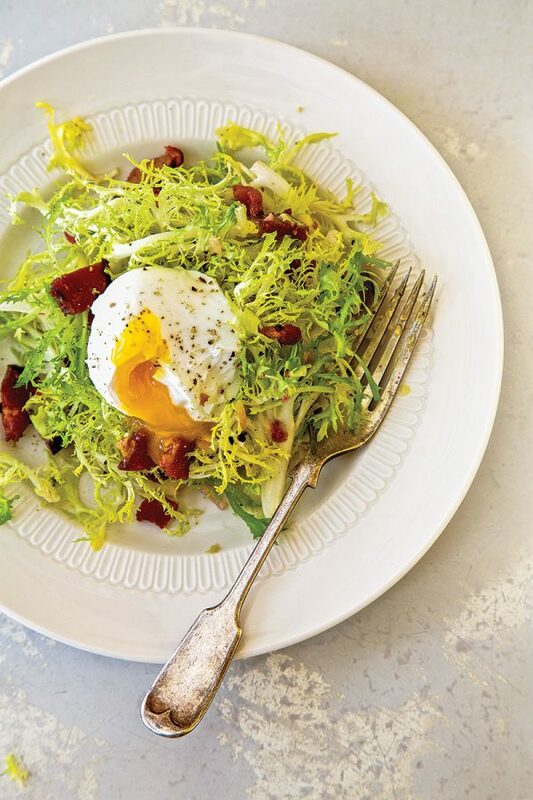 Bitter frisée, crisp lardons and a runny poached egg make up this rich salad from Lyon, France. The salad recipe from Saveur gets an extra boost of flavour from the bacon fat in the vinaigrette. 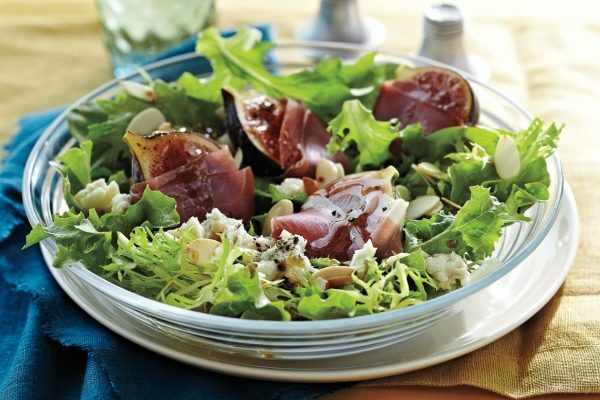 Figs, honey and blue cheese are a classic flavour combination, and they taste even better when tossed into this chic salad from Canadian Living. 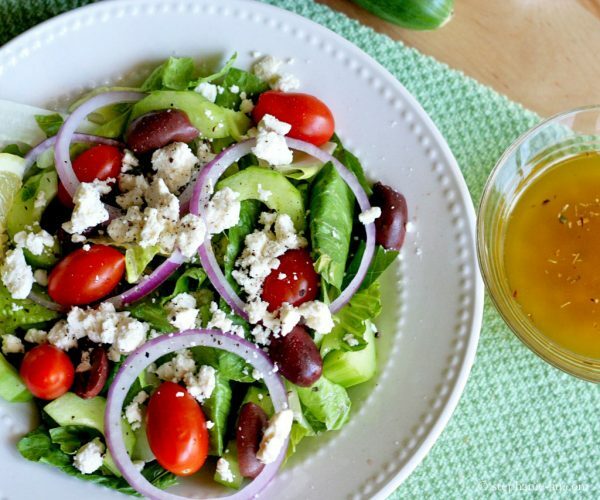 It’s hard to beat a good Greek Salad, and this one is no exception. Plump briny olives, juicy grape tomatoes, creamy feta cheese… what’s not to love? 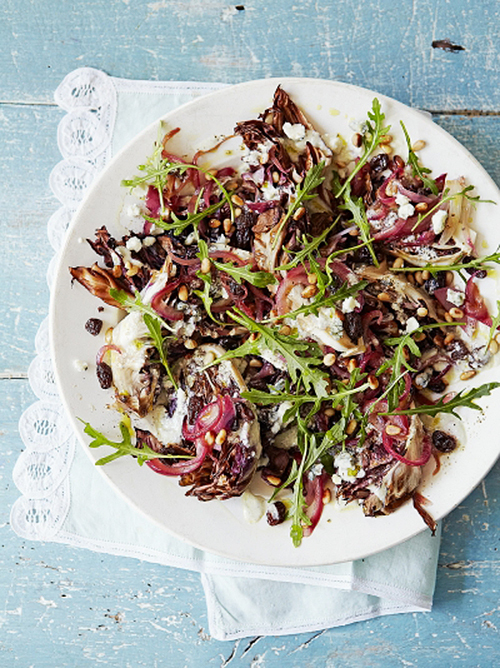 Leave it to Jamie Oliver to come up with a beautiful salad like this! Grilling the radicchio adds a lovely charred flavour, which is complimented by buttery toasted pine nuts, spicy arugula and strong blue cheese. 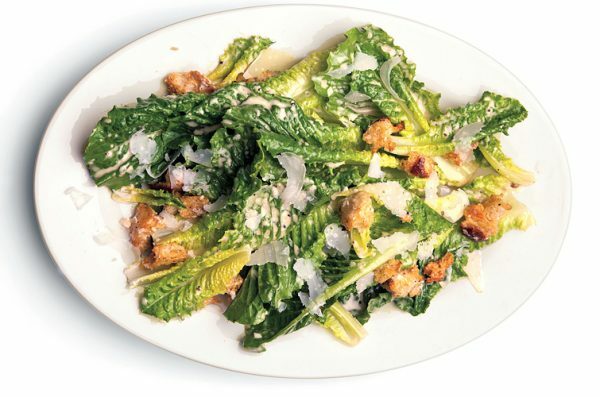 Pair kale, Parmesan cheese, Caesar dressing, and bacon, to make this Kale Caesar Salad. 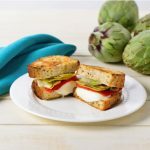 It is phenomenal as a tasty lunch that will make all your coworkers envious or as a delicious dinner with a twist for the family! 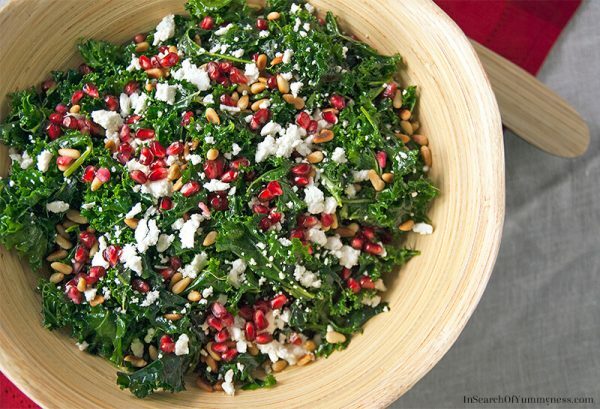 Shiny red pomegranate seeds release a burst of fresh fruit flavour in this Massaged Kale Salad with Pine Nuts and Pomegranate. Warm, golden crisp pancetta and sautéed mushrooms are meaty and earthy in flavour. 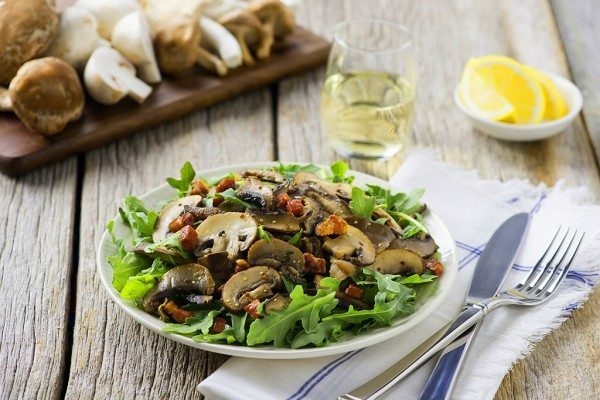 They are served over a bed of peppery arugula with an acidic dressing to marry everything together in this Warm Mushroom Salad. 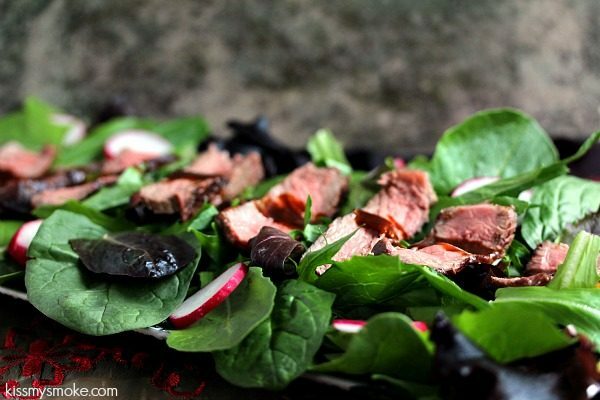 Juicy steak sits on top of a bed of sweet baby spinach and peppery radishes in this Grilled Steak Salad Recipe. Tangy balsamic dressing ties it all together, adding acidity and flavour. 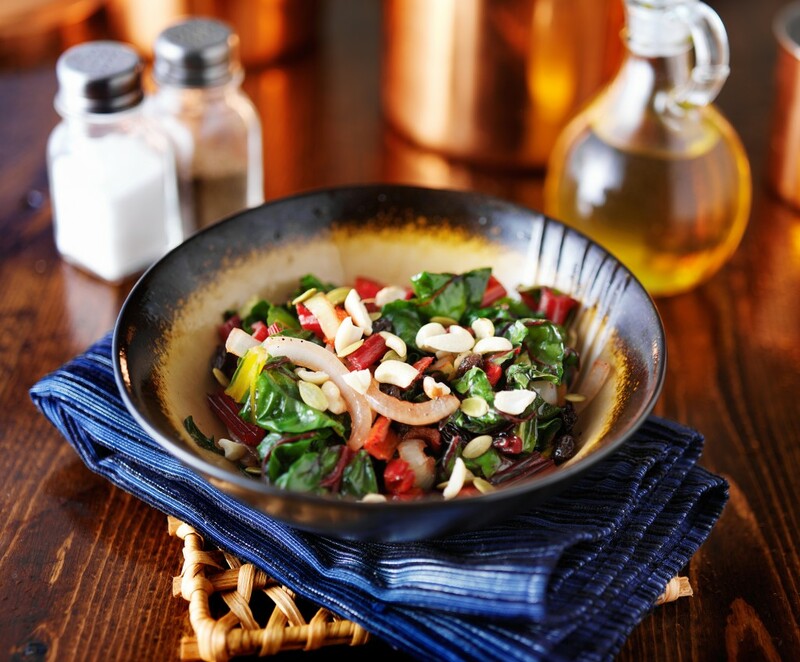 This Wilted Swiss Chard Salad makes a great lunch or a side dish, and is so easy to customize. You can add some fennel or parsnip, some extra herbs for flavour, swap the raspberry vinegar for lemon juice, or swap out the almonds for walnuts. 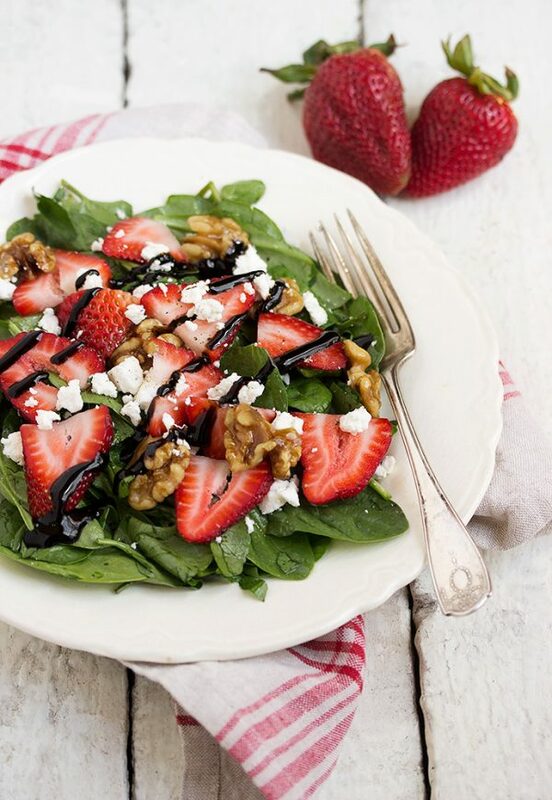 This classic Spinach and Strawberry Salad has a twist! It includes peppery watercress and sweet maple glazed walnuts for a new spin on this well loved recipe. 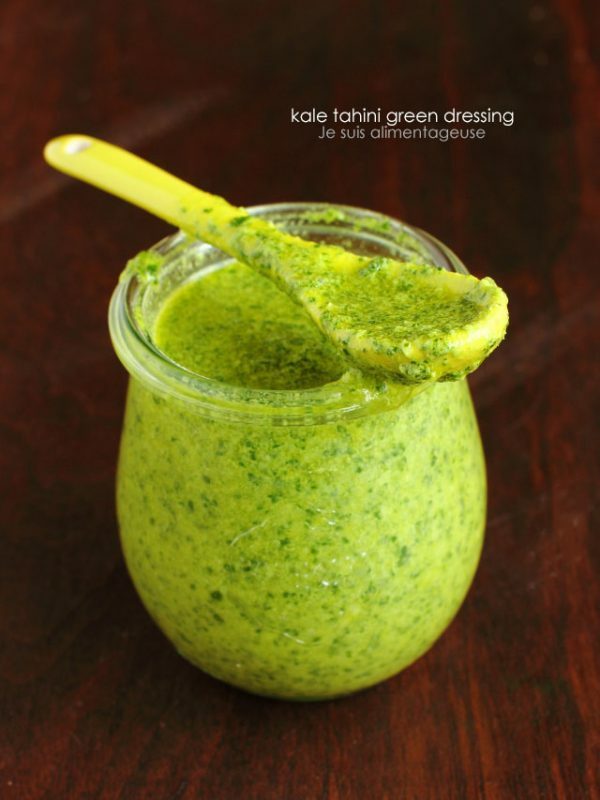 This vegan Kale Tahini Salad Dressing is bright, lemony, creamy, and fresh! 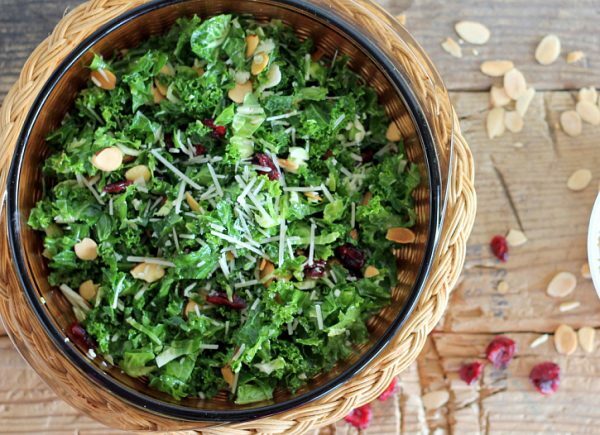 With garlic, tahini, kale and lemon juice, it’s a nutritious and delicious way to dress your favourite salads! 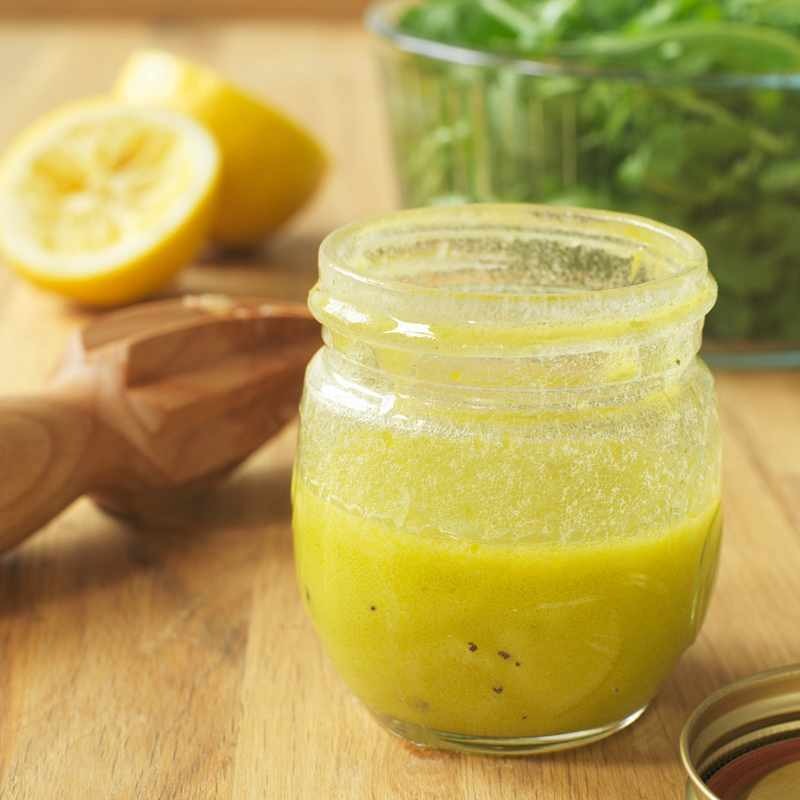 This Lemon Vinaigrette is perfect to dress a simple green salad or even grilled vegetables. It would also be an excellent addition to a couscous or grain salad. The great thing about this lemon vinaigrette is that you probably have all the ingredients on hand to make it!